April | 2010 | What about this? With the temperatures warming up outside, it’s time to put on the sunscreen, drag out those tattered garden gloves, and sharpen those rusty shears. Picture how good it’s going to feel to reestablish those short sleeve and ankle sock tan lines while working up a sweat in the yard! Yeah, well maybe not today. Just got an iPad an hour ago and it’s redirecting my best intentions! #1 – Time to Plant! It’s that time of the year again when little vegetable plants nod in the breeze as we walk by them in the garden center. It can be confusing to know when the best time is to plant each type of vegetable, but The Garden Helper can help answer those types of questions. This site has a vegetable planting guide and tons of growing tips that are helpful to novice gardeners and experienced ones, as well. For someone like me, who could not live off the fat of the land, every little bit of advice helps! My daughter recently told me about some meat-flavored potato chips she had in Egypt. That reminded me of this site which features McDonald’s cuisine from around the world. It’s interesting to see how McDonald’s caters to the local crowds. I was reading a gardening article in my local newspaper and learned a few things about snails I had not known before. Did you know that snails can devour 30-40 times their weight, that they are hermaphrodites and thus can impregnate themselves or their partners, and last, but not least, that they love to drink beer? It seems snails are attracted to the yeast in beer, so go ahead and put out some shallow pans of beer so that those little guys can drown their troubles. But, beware, if you put out the wrong kind, they may not take the bait. According to research done at Colorado State University, snails tend to favor Kingsbury Malt, Budweiser, Bud Light, and Old Milwaukee brands. Light beer? Snails watch their weight? #5 -Has Your Soul Bloomed, Yet? Today’s the last day of April which means tomorrow is May Day! Go ahead and dance around the maypole if you feel like it! Enjoy your weekend! Giving Mom a Gift Card? 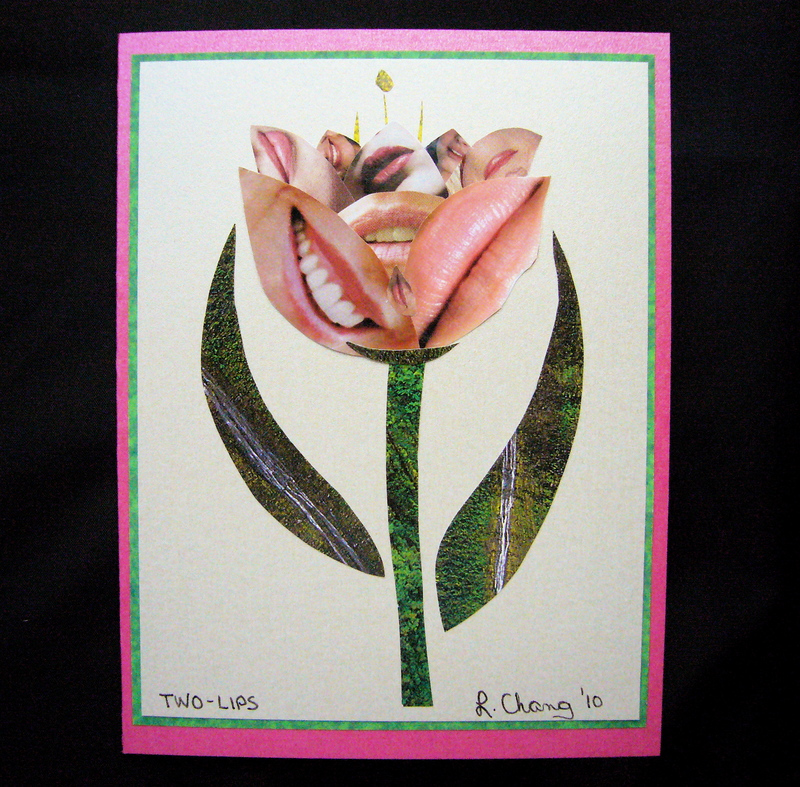 Because I’ve done some posting about Mother’s Day – table decorations and recipes, thus far – I’m sure I’ve made my children a little nervous. They are probably wondering what my expectations are for the day and are probably pondering what to do for their dear old mom. Not! But anyway, I thought I would give them a little help. If you are reading this, my darling children, I really have no expectations for the day. I’ll be happy as long as you remember Mother’s Day and you give me a call. 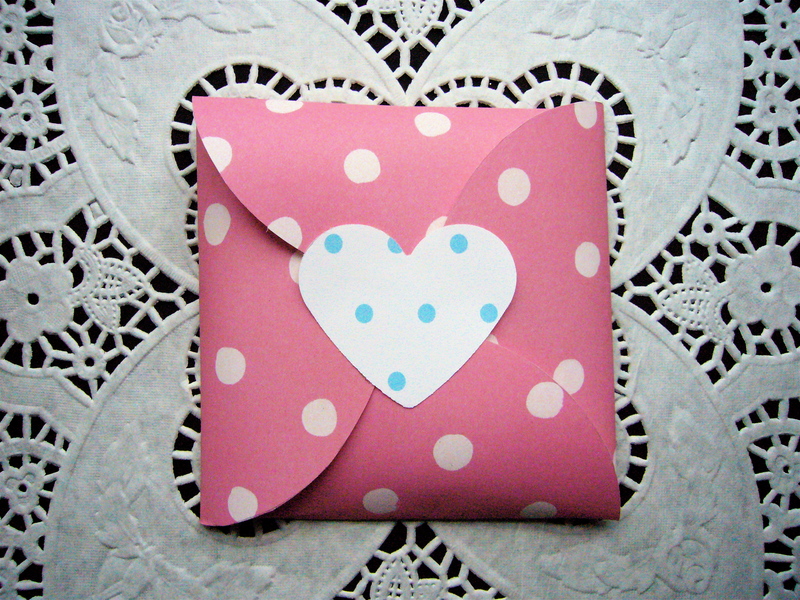 However, if, by any chance, one of you buys me a gift card for Mother’s Day, here’s a cute way to wrap it! 1. Click on the photograph of the template at the bottom of the page and the image should become enlarged. 2. Print out this image. 3. Cut out the image to create a template. 4. Put the template on the colored paper and trace around it lightly with a pencil. 5. Do not remove the template from the paper. 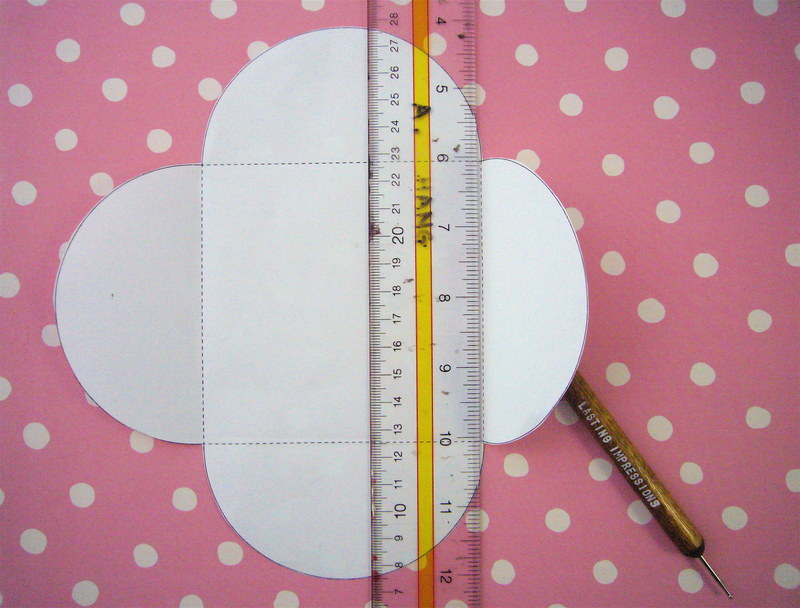 Line up the ruler along a row of dotted lines and run the stylus against the ruler to score the fold lines. Repeat this with the other three rows of dotted lines. 6. Cut the card holder out of the colored paper. 7. If desired, you can write something, stamp a sweet saying, or place a sticker in the center square. This will not be revealed until the gift card is removed. 8. Fold along the scored lines. 9. 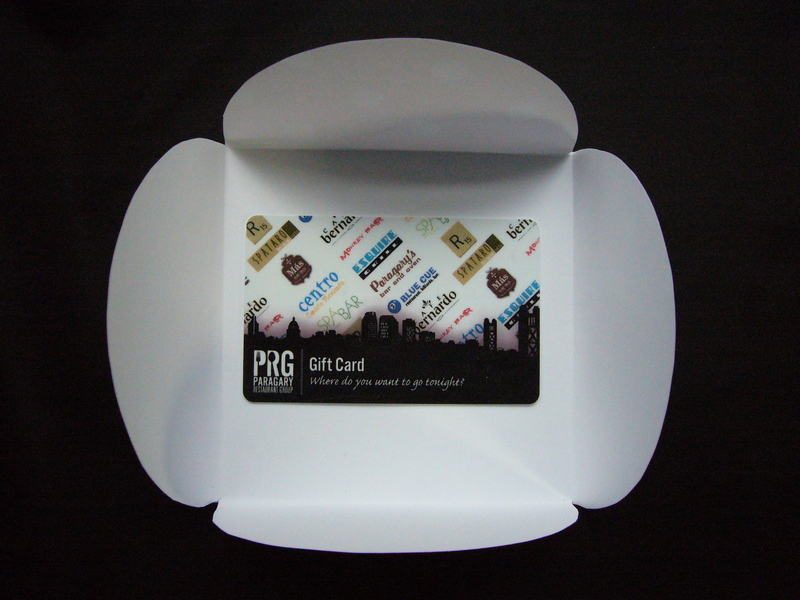 Using double-stick tape, adhere the gift card to the large center square of the card holder. 10. 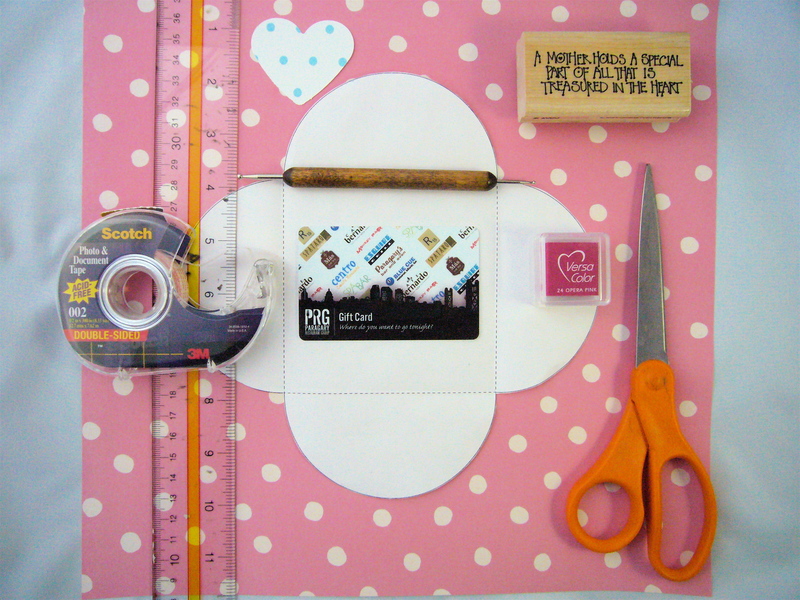 Fold the sides of the card holder to the center, overlapping as you go. None of the side panels should completely show if folded correctly. 11. To keep panels down, secure with a sticker or a punch-out that has double-stick tape on the back. 12. Give it to your mom and give her a kiss, too! Sometimes it’s the simple things in life that are the best. What could be more simple than serving a warm loaf of rustic bread with a bowl of good quality olive oil and aged balsamic vinegar? Combine that with a hearty soup or a healthy salad and you have yourself a great meal. Of course, adding a bottle of wine to the menu would make the meal even more enjoyable! 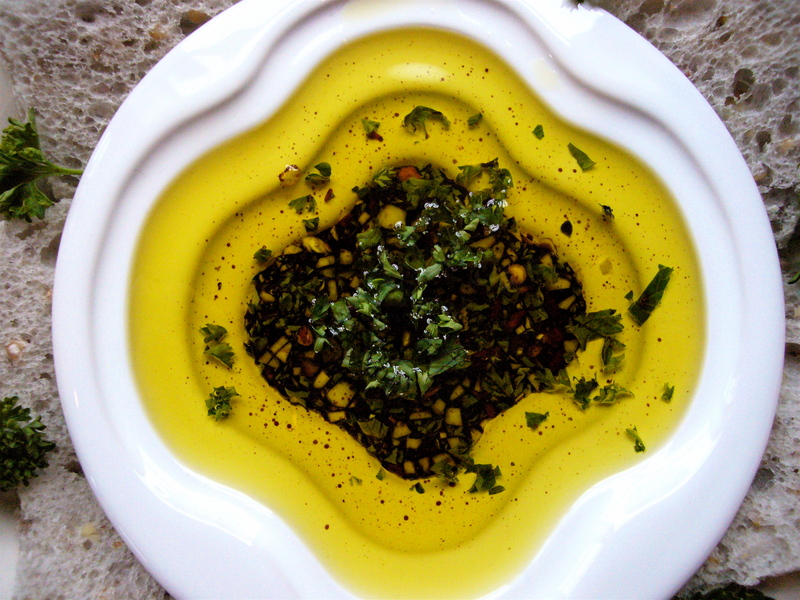 Here’s a simple recipe for a dipping oil very much like the type served in Piatti Restaurants. Place ingredients in the order listed into a small serving dish or ramekin. Makes enough for two people to dip bread with their meal. 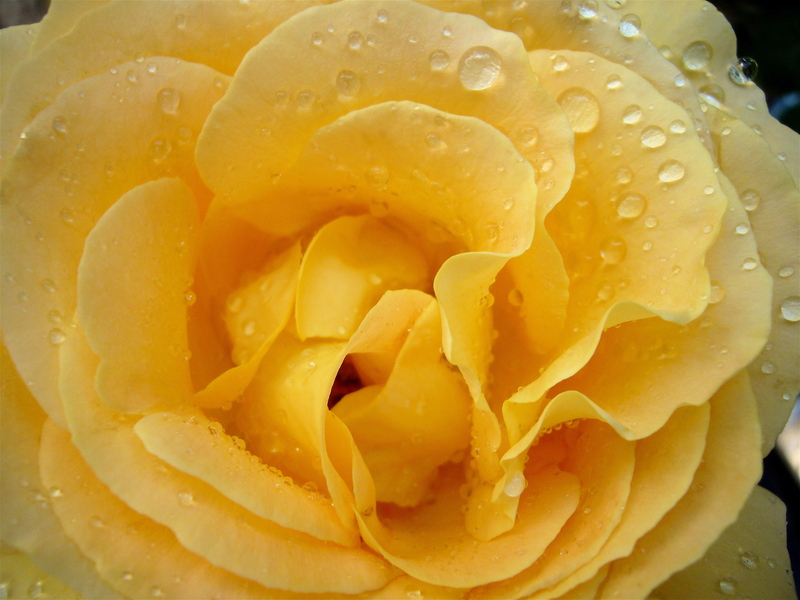 Today’s post is dedicated to the memory of Alicia Rose Parlette who passed away yesterday at the young age of 28. Alicia was a gifted writer, journalist, and was a close friend of my oldest son. Bravely chronicling her diagnosis and ensuing life with incurable cancer in a 17-part series called “Alicia’s Story” for the San Francisco Chronicle, Alicia was and continues to be a source of inspiration for people all over the world. The world has lost a beautiful person and a brilliant spirit. Dr. Cherie Carter-Scott wrote a little book called If Life is a Game, These Are the Rules that’s filled with a lot of food for thought. She writes about her “Ten Rules for Being Human.” These rules may seem self-evident to most people, myself included, but I discovered reading about them in detail to be an enlightening experience. Sitting at your computer, but need to take a little break? Go to www.wordle.net and make a “word cloud.” You type in the words and decide on font, layout, and colors. A print-worthy word cloud is yours for free. A. My coworker’s husband who has been eating steel cut oatmeal as per My Most Requested Recipe post has had his cholesterol score drop 34 points since his 2008 results! Way to go Jim! Another way your readers can help the needy is to visit http://www.AmpleHarvest.org – a site that helps diminish hunger by enabling backyard gardeners to share their crops with neighborhood food pantries. Backed by Google.com and the USDA, more than 1,600 food pantries nationwide are already on it and more are signing up daily. C. It seems a lot of readers did not understand the title of my April 12th post. “Release the Cracklin!” was a tongue-in-cheek referral to the phrase “Release the Kraken!” that the god Zeus yells out in the movies “Clash of the Titans.” A Kraken is a mythical sea monster of gargantuan size. A cracklin’ or crackling is the crispy skin of a pig. I was taking artistic leeway in calling bacon a cracklin’. Okay, you can laugh, now. D. Although this is not a comment, it is a request from a reader. I have been asked to ask my readers, especially the gardeners out there, if they know of any pest or critter that could be responsible for stripping off all the leaves and flowers on his vegetable plants overnight. Something devoured his plants and he can’t figure out what. He has wired fencing all around his vegetable garden to keep the deer away and he has placed barriers into the soil to prevent rabbits from burrowing under the fence. He thinks it had to be something that climbed over the fence. Ideas, anyone? Goodbye little flower. Bless you Alicia Rose Parlette. For more information about Alicia and to contribute to the Alicia Parlette Fund for Aspiring Journalists please go to msparlette.wordpress.com. Continuing to “attack the stack,” I pulled a newspaper clipping out of a pile and looked at the date of May, 2008. “It’s time to check out this baby,” I thought to myself. Perusing the very short list of ingredients – only four – I noted that I had everything that was required. Nothing extraordinary on the list except for b-e-e-r! How great is it that the yeast in beer acts as a mild leavening agent, so we can use it in our baking?! One of the comments provided by the newspaper recipe contributor was,”This bread is a canvas for you to flavor any way you choose.” Being a risk-taker in the kitchen, I decided to give my loaf a Tex-Mex type of flavor by adding a can of diced green chilies and some shredded cheddar cheese to the flour, sugar, salt, and beer. In my head I thought the flavors would meld together well. When I sampled the final product of an inviting golden-brown-crusted loaf of bread, I was amazed. I was amazed at how awful it was! I had my volunteer food tester, aka my husband, taste it. I knew it was as nasty as it could get when my lover-of-everything-I-prepare husband said, “This is inedible!” It was bitter and had a slimy texture. So, on my Ick-Scale of one to ten this was a ten-ick. Wow, where did I go wrong? 1. The beer was a light beer and possibly did not have enough flavor and did not add enough body to the batter. 2. I accidentally added baking soda instead of baking powder to the flour mixture. The recipe stated that if you did not have self-rising flour you could add 3 teaspoons of baking powder to the flour to achieve the same results. Remember, I’ve mentioned this before, I am not beyond screwing up recipes by not reading them thoroughly. 3. My husband thinks the sliminess came from the diced green chilies, but I’m not sure if this is true. The recipe contributor had commented on friends adding chilies to their breads. 4. I should have gotten out two bottles of beer – one for me to drink first and then one to add to the bread! Not wanting to accept that I had been bested by a six-ingredient Beer Bread, I decided to start over. I was more diligent about reading the recipe through and decided to forgo the Tex-Mex route for an Italian-Herb type one. I made a few other changes to the batter and stuck the second Beer Bread loaf in the oven. With trepidation, I carefully sliced the second crusty loaf and put a piece into my mouth. 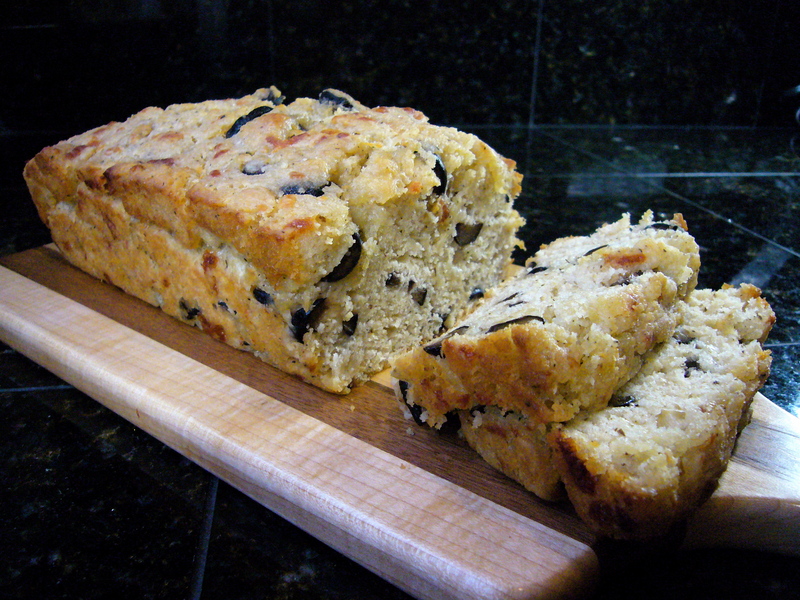 Okay, this is what a successful Beer Bread is supposed to taste like – finger-licking good! *1 12 oz. can or bottle of beer. (I used a bottle of Foster’s the second time around). *3 cups of sifted self-rising flour (If you don’t have self-rising flour at home, you can make it by sifting together 3 cups of all-purpose flour with 4-1/2 teaspoons baking powder and 1-1/2 teaspoons sea salt). *1/3 cup of sugar (upped from 3 T in original recipe and I would consider increasing or decreasing the sugar amount depending on what ingredients you are adding to the basic batter). 1. In a large bowl mix together the sugar and the sifted flour. Stir in the Italian seasoning. Make a well into the flour-sugar-seasoning mixture and slowly pour in the beer. Mix until just moistened. Add the cheese and olives. Mix until just combined. Do not over mix. 2. Pour into a greased 9″x5″ loaf pan. Let sit for a bit to let the yeast in the beer get settled (15-30 minutes). 3. Bake at 350 degrees for a total of 45 to 50 minutes. Test with a toothpick or cake tester after 45 minutes. 4. If desired at the halfway baking point, brush melted butter on the top of the bread and sprinkle with a little garlic salt. Repeat the brushing of butter and sprinkling of garlic salt when the loaf comes out of the oven. This photo says it all. It’s that kind of day. 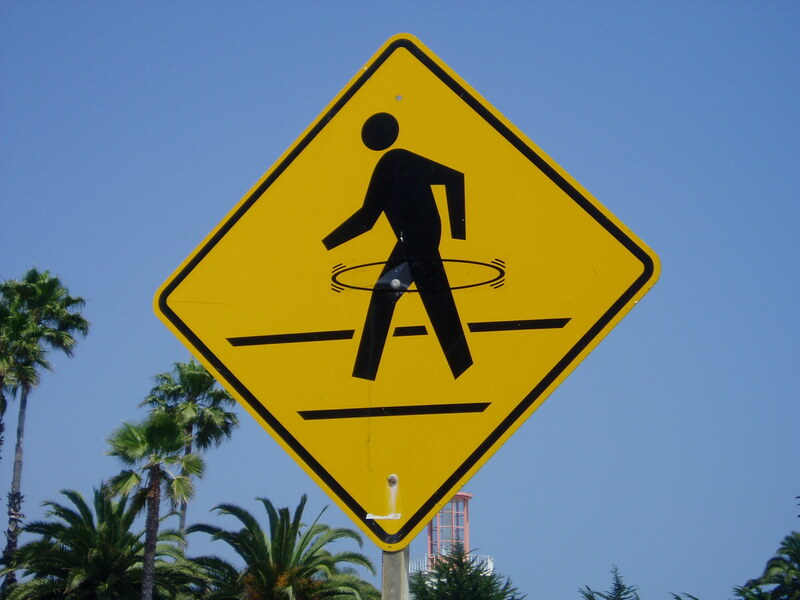 It’s a hula-hooping, sun-shining day and, even though I sound like I live on Sesame Street, I feel that way. Today’s my birthday and I’m celebrating the gift of this very lovely day! Finding gifts for others can be difficult, but at charitablegiving.com it is not only easy to find unique gifts, it is also helping to fulfill the needs of others. The blog states, The purpose of this blog is to find some of the best stuff you can buy on the Web where a portion of the proceeds are donated to a charity or other non-profit organization in need. We’ll surf major retailing sites, as well as mom-and-pop sites, to find the best out there. Whether you buy these products as gifts for others or for yourself, you can feel great about your purchase, knowing that you’re not just buying a gift, but helping a great cause too. Not only does this blog post about products and causes, but it also invites its readers to post about other cause-worthy products. The upside is that you’re exposed to a lot of wonderful products for sale and feel good while buying. The downside is the need to be a smart buyer. Check out the cause and the organization to your satisfaction before making any purchases. It’s not as weird as you think! Turn the bag inside out and wash it with soap and warm water. Completely wipe it dry. Wrap your item in tissue paper and put item in the bag. Fold the bag ends in and use double-sided tape to seal. This is a good way to wrap irregularly shaped items and the silver look is interesting. Different sized chip bags for different sized gifts! Toilet paper tubes, paper towel tubes, wrapping paper tubes – they’re all the same except for length. Wrap your gift item with tissue paper first, then insert into the tube. 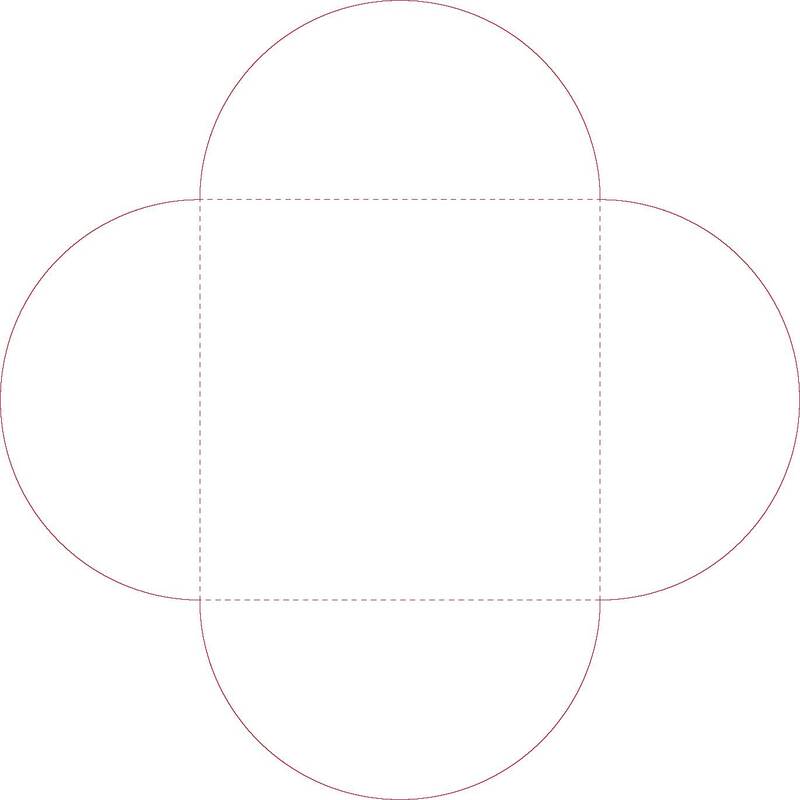 Either cut paper or cardboard circles and tape to seal the ends shut or just put packing tape over the ends. Wrap the gift in a piece of paper that is 3-4 inches longer than the tube on each end. Twist the paper ends and tie ribbon on twists. This will look more or less like a piece of candy. If you don’t like that look, wrap it with paper and fold down the ends in pleats and tape. 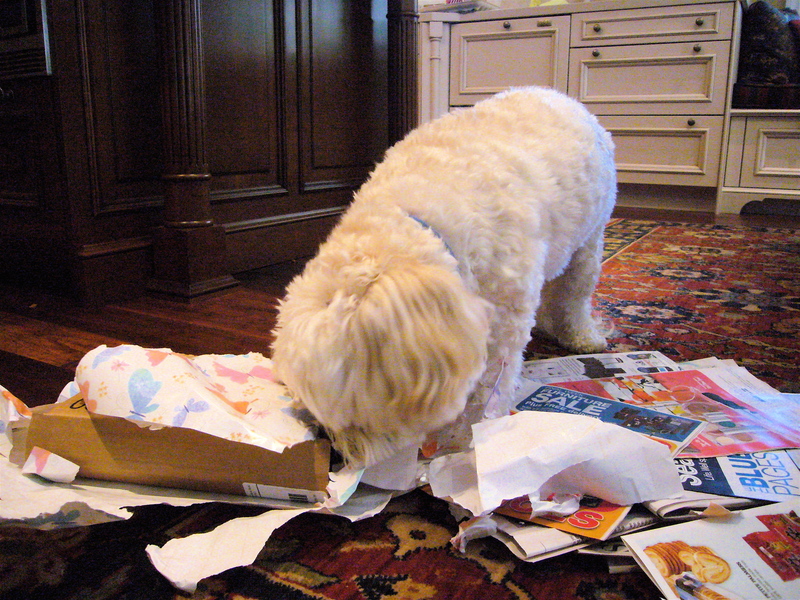 Magazines and newspapers are obvious choices for wrapping, but consider old calendars, postcards (wrap these around tubes), and shopping bags. According to the Concise Oxford English Dictionary, “Bookcrossing is the practice of leaving a book in a public place to be picked up and read by others, who then do likewise.” At BookCrossing.com, “Where 854,720 people in over 130 countries come to share their passion for books with the world,” you can sign up for free to become a member and learn how to begin registering and tracking books left in public places. Here’s a recipe for butter cookies that I’ve had since I was a child. Easy to make and delicious to eat! Mix all ingredients together and drop by small teaspoonfuls. Bake at 375 degrees for 8-10 minutes. Enjoy!